I’ve always been super curious of Filipino food. After completing my TAFE course in 2012 and putting all of my focus onto my hobbies, there were curious weeks with endless searches of recipes, of every Asian cuisine. A few Filipino food blogs would have dishes consisting of super simple ingredients together… A lot of them were hot dogs… mixed with a lot of random things, on rice (example). I was never intrigued enough to make any of them myself, though. 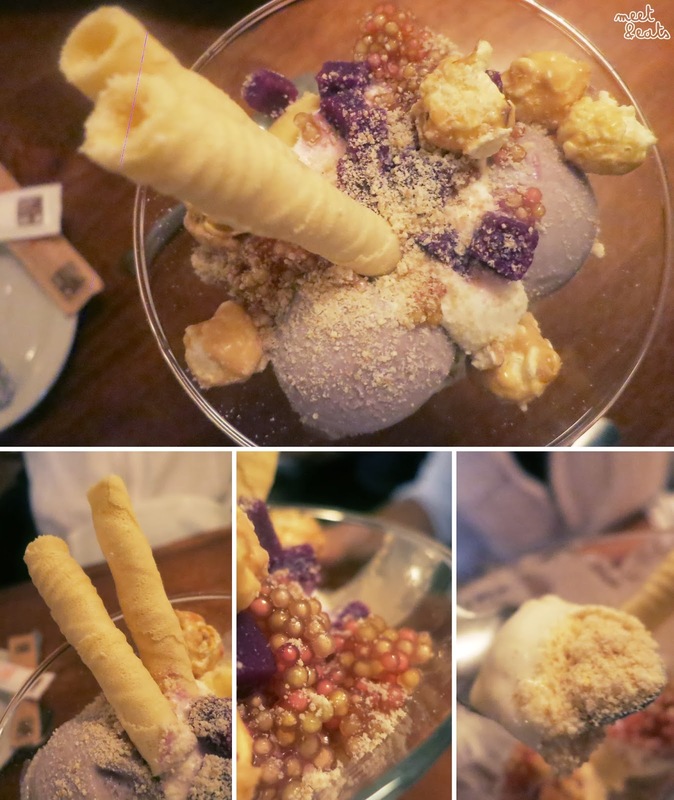 What made me happily agree to dinner at Lamesa, was being able to have the opportunity to try the Halo Halo dessert! I’ve tried plenty, plenty of variations of Vietnamese Halo Halo in Cabramatta and each were amazing. But, after finishing each cup, my curiousity would continue peaking for what the actual Filipino Halo Halo would taste like. As soon as we were promptly seated and ready to order, I immediately asked if they were serving Halo Halo tonight… But, nope, too my disappointment, it was only a Summer-time menu item. Dangit. 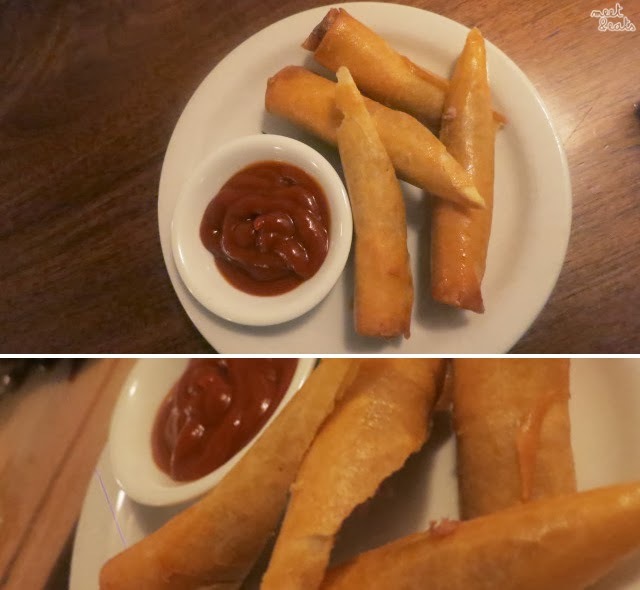 Encased in many layers of Spring Roll Wrapping, the Pork Lumpia Rolls was a much tougher bite. It really made me question: ‘Why???’. I would have expected a much more exciting dip, rather than tomato sauce. The filling was slack, and purely had a single minced pork flavouring throughout. 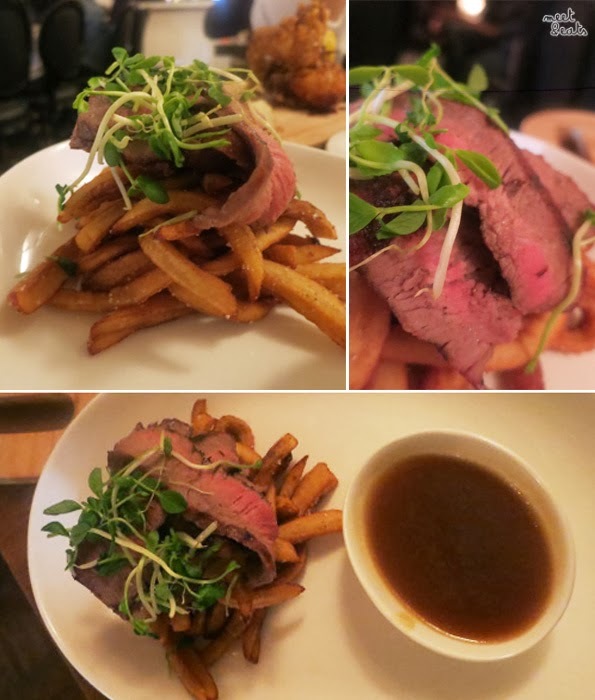 Nice strips of medium-rare beef on a pile of ‘fries’. The Plantain was absolutely delicious, perfectly cooked, in just the right size. The Soy Beef Jus was delicious, almost like a lighter and much more buttery gravy. Altogether, it was genius! 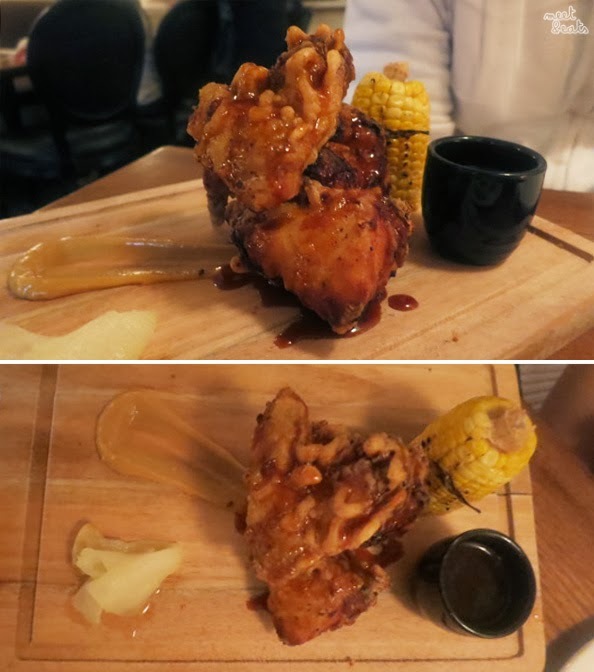 What I was most excited for, the Fried Chicken Adobo was much too dry and hardly any crisp to comment on. The Adobo reduction was almost flavourless. This was disappointingly very under-cooked, it was pretty odd. Who made this rice! Three scoops of Ube and Pineapple Ice Cream, Coconut whip, Ube cubes, Mini Tapioca Pearls, Caramael Popcorn, Polvoron crumbs and two Vanilla Wafer sticks. This Gintaan Sundae was too good, it was so good, that I forgave Lamesa for not serving up Halo Halo during the Winter time, lol. Ube is almost like a yam, but slightly more firm and muted in flavour. The two scoops of Ube Ice Cream was delicious, the perfect amount of sweetness, and the Pineapple scoop served as a balance. Everything complimented the whole dessert well, but the biggest winner was the semi-cooked Mini Tapoica Pearls, the texture was ingenious with it all. I thought the Tapoica Pearls were fabulous… Until I took a scoop deeper, and found Polvoron (biscuit) crumbs to add onto my palette. The service was great and the atmosphere served up as a nice place for a quiet evening out. It was higher priced for the amount of food I actually did enjoy. I do like their menu and their creativity with their own take on Filipino dishes, they did it very well. 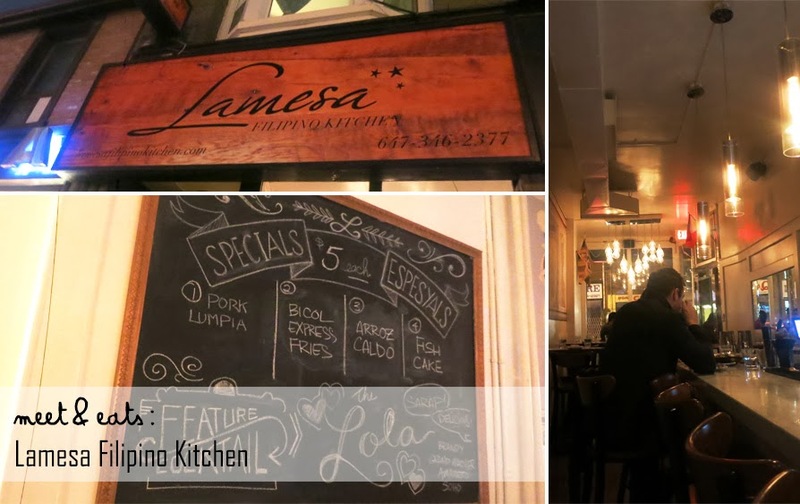 They also have a Filipino-Canadian brunch going on during the weekends, and a tasting menu. I would like to give this place another go during the summertime, all for their Halo Halo.